This column was initially published Thursday afternoon in politicalmaryland.com. The search is on to find a replacement for “Mr. Maryland Higher Education,” Chancellor Brit Kirwan, whose remarkable 45-year career at the University of Maryland could end in the next six to nine months. It’s a national search, with a high-paid consulting firm culling the usual suspects within American academia. 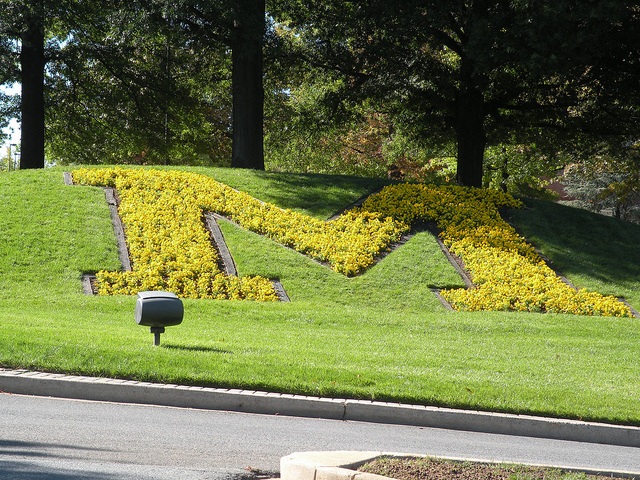 Yet the solution may lie closer to home if UM’s search committee decides to seek a leader who understands the peculiarities — and frequent collisions — of academics and politics in Maryland. The list of viable candidates who fit that description is surprisingly long. Freeman Hrabowski, President of the University of Maryland, Baltimore County. Pro: He’s on everyone’s short list. He’s dynamic and charismatic. He’s a national star. He’s built UMBC into a science and technology gem for undergraduates, a national chess power and a reputation for its mentoring program that advances the careers of outstanding minority students. He’d be a role model for diversity and a relentless advocate for academic achievement. Con: He repeatedly says he doesn’t want the job. He’s never led a sprawling university like the 11-campus University of Maryland System with 153,000 students. His celebrity status might become a detriment in keeping the system’s semi-autonomous campus presidents on the same page. Steve Knapp, President, George Washington University. Pro: In eight years, he’s dramatically upgraded GWU’s stature as a serious academic resource for the national’s capital. An English literature specialist, he proved a huge hit as dean of arts and sciences and then as provost at Johns Hopkins University. He knows how to manage large, complex university systems. Con: It might be hard to pry him away from GWU, given his string of successes there in raising its profile as a first-rate university with growing national influence. Jay Perman, President, University of Maryland, Baltimore. Pro: A voice of moderation, he’s done a marvelous job calming the roiling waters at UMB, a campus known for its silos erected by independent-minded graduate school deans. He overcame pressure from Annapolis and worked out a research partnership with College Park that’s showing results. An M.D. who still practices and teaches students from all the graduate schools about team-based medicine, Perman is steeped in local academics and health care — five years running UMB’s pediatrics department and 13 years at Johns Hopkins heading several medical divisions. Con: He’s 68 and he’s never led a university system. He’s got the laid-back demeanor of a pediatrician, which may not be what the search committee has in mind. Bill Brody, President, the Salk Institute. Pro: He’s a Hall of Famer in the academic medicine world, a brilliant and multi-talented leader who took a world-renowned institution, Johns Hopkins University, to new heights. He also founded three medical device companies, engineered medical imaging breakthroughs and is a superb writer and communicator. Con: He’s 70 and has a dream job in a warm, sunny climate ripe with innovative scientists like himself. Joanne Glasser, President, Bradley University. Pro: She’s broken the glass ceiling twice — first at Eastern Kentucky University and then at Bradley in Peoria, Ill. A ferocious fund-raiser, she is wildly popular with students, alumni and faculty. She worked closely with President Hoke Smith at Towson University during her nine years there, focusing on fund-raising, community relations and affirmative action. A lawyer by trade and a Baltimore native, she also served as labor commissioner for Baltimore County. Cons: She has carved out a sterling record in the Midwest and may not be ready to return to what could be a difficult situation trying to replace Kirwan, a master conciliator among both feuding academics and politicians. Sandy Ungar, recently retired President, Goucher College. Pro: This prolific and deservedly honored writer proved a smash hit leading Goucher fully into an era of co-education and elevated prestige. He’s got wide experience as a journalist, as director of the Voice of America and as a dean of communications at American University. Cons: He lacks a background in running such a widespread, independent set of public university campuses and may have trouble fending off intrusive politicians in the State House. Pros: What an amazing job he’s done taking a small, backwater college primarily populated by female students and turning it into a trend-setting, dual campus university that keeps raising its profile academically and within Greater Baltimore. Con: It could be too big a jump from Stevenson to UMS — leaping from a private-sector institution to a massive public university system. Besides, he’s 69 and might not be the right age for the search panel. Bob Caret, President, the University of Massachusetts. Pro: His 25 years at Towson University, divided into two parts, saw him excel as a chemistry professor, dean, executive v.p. and provost, followed later by Act Two — nine years as President of Towson. In between, he drew raves for leading San Jose State University to unexpected heights in Silicon Valley. Now he’s doing the same at U. Mass. He’s got the ideal background to replace Kirwan, the right temperament and experience running three diverse institutions. Con: He’s 67 and as a Maine native he might want to conclude his academic career in New England where he’s most at home. Picking an insider or outsider? That’s quite a list. Who needs a costly search committee? There’s more than enough home-grown talent to find the right successor to Brit Kirwan. All of them have shown themselves to be strong leaders, great collaborators, peacemakers and outstanding relationship-builders. Choosing an outsider, someone lacking in years of experience within the unique setting that is Maryland could be a huge mistake.